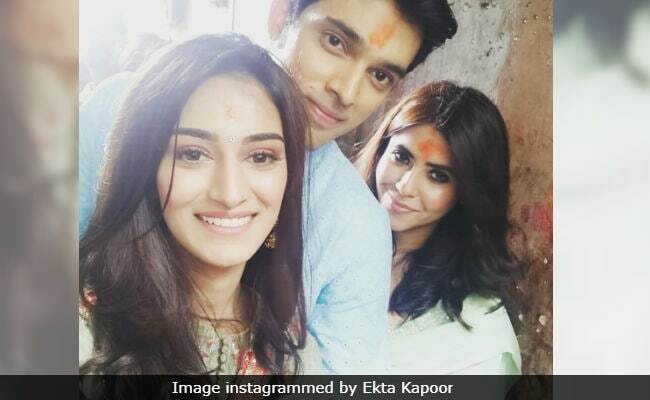 Ekta Kapoor added a picture of her new Anurag and Prerna to her Kolkata diary, where the team is filming Kasautii Zindagii Kay 2. The promo of Kasautii Zindagii Kay 2, which is set in Kolkata, was launched by Shah Rukh Khan last week and now, the cast and crew are busy filming parts of the show in the city. Apart from Ekta Kapoor, actors Erica Fernandes (Prerna) and Parth Samarth (Anurag) also shared photos from their '#shootlife.' 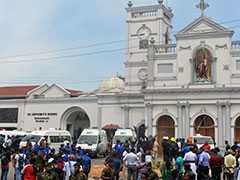 Ekta Kapoor took Erica and Parth to Kolkata's iconic Kalighat Temple and wrote: "At ma's feet! May we glow n grow in the Devi's aura!" Parth shared the same picture and captioned it: "Praying you all love seeing Anurag and Prerna's life as much we are living them. It's always nice being in picture with beautiful people. In this case I have two of them." Kasautii Zindagii Kay, one of Ekta Kapoor's longest running K-Soap, is getting a makeover. The original series, which aired from 2002 to 2008, featured Shweta Tiwari and Cezzane Khan in lead roles. As for the new show, Ekta Kapoor hasn't introduced the tele viewers to the principal antagonist Komolika (played by Urvashi Dholakia in the original show). Actress Hina Khan (of Yeh Rishta Kya Kehlata Hai) is apparently the top choice to play Komolika. Kasautii Zindagii Kay 2 will go on air from September 25.